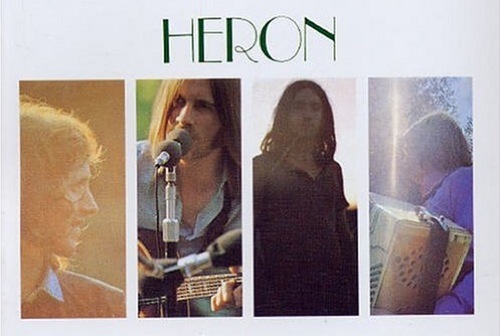 It was last winter when I first heard Heron’s 1970 self titled debut and the only thing I knew about the record was that it was recorded outside in England near the Thames river. After spending a few days with the album, I began to get the itch to figure out who the dudes were that were responsible for these perfect pastoral folk sing alongs. Who was this band that managed to record an album that sounded like an open field could suddenly play a guitar and sing? Pingback: Vi uppmanar Sam Jackson att gÃ¶mma sig i en bunker â€” Sammandragningen â€” Popponny! Is that Mike Heron of the Incredible String Band / Bad Reputation? Thanks so much for sharing this. Upon hearing ‘Yellow Roses’ I went scouring Toronto for some of Heron’s albums. Great stuff — thanks for sharing this! just found your site. awesome stuff, especially the victor hÃ¥kansson interview. keep up the good work. No, J from Wpg, nothing to do with ISB but everything to do with really good music. Such that, like me, you will still be enjoying it some 30 years later. It has not lost its freshness in all that time. When Heron appeared on John Peel’s In Concert program (UK BBC Radio), I remember his introduction “the band’s name is Heron, not herring, which as scientists among you know is a species of fish of very little intellectual achievement. And now the next number from Herring is…..” (raucous laughter from audience).